As promulgated by the Nuclear Regulatory Commission, packaging regulations for radioactive material are confusing (e.g., "activity" vs "contained" activity vs "total" activity). As a consequence, medical physicists are forced to secondguess the intent of the regulations. This dilemma is the subject of this month's Point/Counterpoint. These authors wish to remind the readers of Point/Counterpoint that the views presented here do not reflect the views of any regulatory body mentioned. Arguing for the proposition is Michael S. Gossman, M.S. Beginning academically at Indiana University, he furthered his education by attaining a Master's Degree at the University of Louisville. Pioneering in atomic physics, he eventually published a book on scanning tunneling microscopy in 1997. Mr. Gossman attended Vanderbilt University, where he studied medical physics and worked as a health physicist. His current focus is research and planning for special procedures in the area of high doserate brachytherapy. 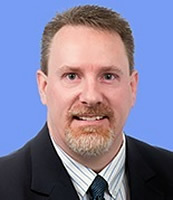 Mr. Gossman is certified in therapeutic radiologic physics by the American Board of Radiology (ABR) and is a clinical medical physicist at Erlanger Medical Center in Chattanooga, TN. Arguing against the Proposition is Beth Felinski-Semler, M.Sc. She received her B.A. in Physics from LaSalle College (University) in 1976, and her M.Sc. from Temple University in 1977. She began working in medical physics in 1977 at Cooper Hospital/University Medical Center in Camden, New Jersey, first in nuclear medicine and later in radiation therapy. She has instructed both radiation oncology residents and therapists in physics and dosimetry. She is certified in radiation therapy physics by the ABR. Beth is presently the senior clinical radiation therapy physicist at the Department of Radiation Oncology, South Jersey RMC in Vineland, New Jersey. There are troubling inconsistencies in the practice of transporting sealed radioactive sources in the United States. There are currently no uniform guidelines governing the proper disclosure of radioactive sources in transit. The purpose of such disclosure is to enable both receivers and response teams to properly assess situations involving damage to packages containing radioactive material. Unfortunately, physicists are left to use their own interpretations as to the method for labeling such packages and determining which values to disclose. Without specific guidelines, many questions remain unanswered. Notably, which activity level should be used for labeling packages-the apparent activity or the contained activity? In many instances there is a great disparity between the two. Currently, a survey including twenty brachytherapy source manufacturers revealed half are labeling according to the apparent activity rather than the contained activity.1 My discussions with some of our collegial society members on how they transport radioactive materials validate the breadth of the problem. Consider, for example, the inconsistencies in the shipment of prostate seeds. The (contained activity to apparent activity) conversion factors for all prostate seed manufacturers range from 1.30 to 1.78 for iodine-125 and from 1.80 to 2.20 for palladium-103. Depending on which activity the physicist chooses for labeling, the value could differ from what another might label by as much as 78% for iodine-125 and 220% for palladium-103. There is a potential for a source encapsulation to break open and leave a bare source with a higher exposure rate than that which would occur if the encapsulation did not break. Currently, response personnel are not equipped with enough information to know the worstcase scenario when radioactive materials are damaged. This deficit could have devastating results. Clearly we need uniformity to ensure all avenues of safety. Regulations governing the shipment of radioactive material, however, do not specifically address this troubling issue. No guidance regarding proper labeling criteria is available from the Nuclear Regulatory Commission, the U.S. Department of Transportation, the U.S. Department of Energy, the International Atomic Energy Agency or the International Air Transport Association.2�5 Explicit guidelines need to be promulgated and followed to govern the process for labeling radioactive material. To do so, the conversion factors for apparent to contained activity need to be determined and published for all sealed sources. Using this information, a guideline should be produced by the Nuclear Regulatory Commission to indicate what the explicit labeling standard will be. Furthermore, it should be uniformly recognized by the other supervisory agencies and departments.
. . . Click here for entire article and footnotes (PDF).